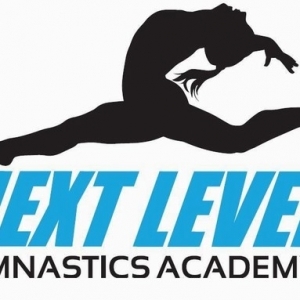 At Next Level Gymnastics Academy, we offer a variety of classes including preschool & recreational gymnastics that cater to your child's needs. 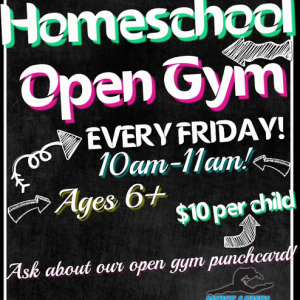 Our recreational classes are also broken up into beginner, intermediate and advanced classes; that way your child can benefit by being in a class appropriate for their skill level. 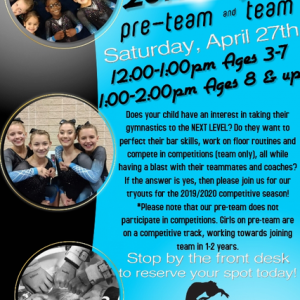 We also have different pre-team and team options when your child is ready for that 'next level' in their gymnastics journey. We carefully place children in the correct team program, based upon their skill level, this way each child benefits and gets proper training. 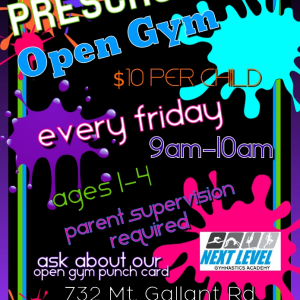 We also have available strength and conditioning classes for boys & beginner thru advance cheer tumbling classes. 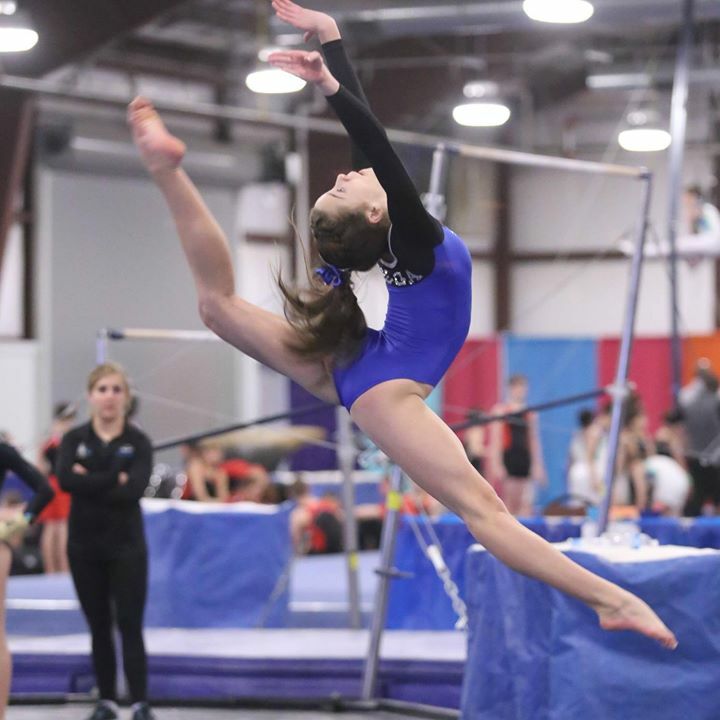 Here at NLGA, we offer the best technical skill training for athletes and only want to help your child accomplish their dream. 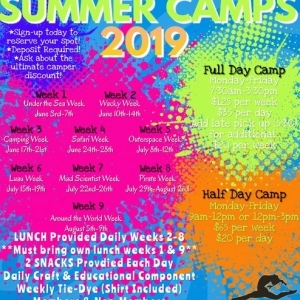 We look forward to having you in our program! 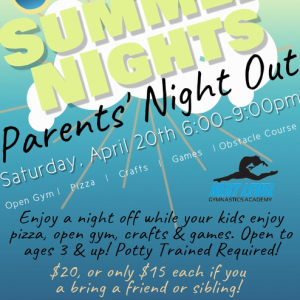 Summer Nights Parents' Night Out!